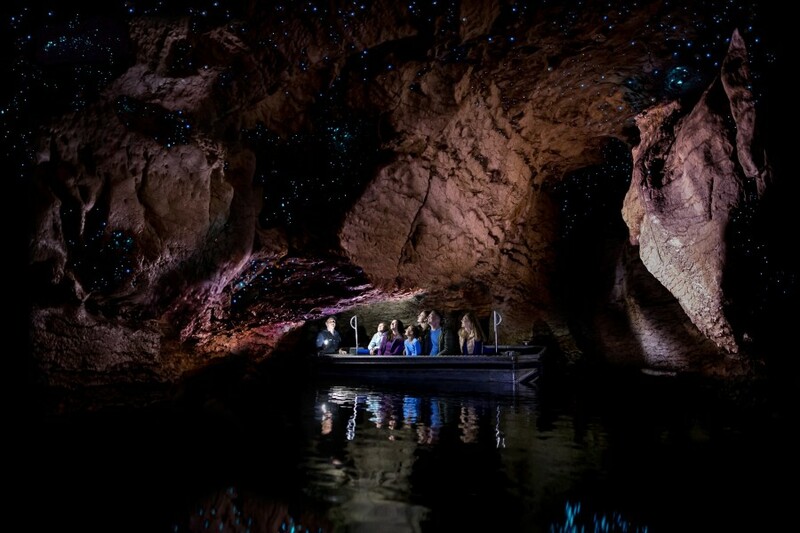 As our small boat glided along further into the subterranean cavern, I looked up to see a galaxy of glittering lights. I wanted to reach for my phone camera to capture that moment, but photography wasn’t allowed (mobile phones had to be switched to silent mode). 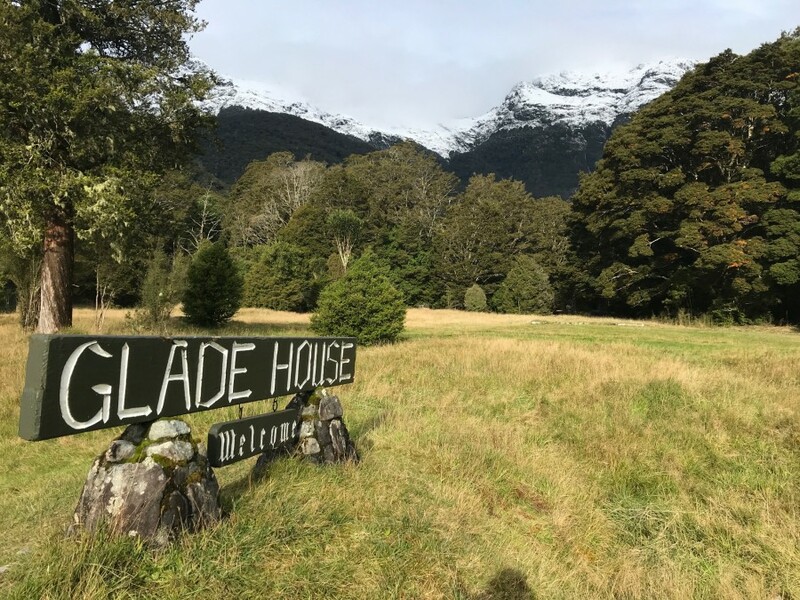 I wanted to exclaim ‘wow’ as I had on many occasions during my time around Te Anau, Milford and Queenstown, but I heeded the briefing from our guide to keep quiet so as not to disturb the light and noise-sensitive twinkling glowworms. Instead, I sat mesmerized, as if in a drug-induced dream. In the silence, all I could hear was water dripping from the cave roof to the silky water below. To get into the glowworm cave, there are a number of steps, and near the entrance, you have to stoop low and bend to venture further into the cave. In a way, the initiation rite is a bit like the travails in getting to New Zealand, one of the most beautiful nations on earth, located a long, long way from everywhere. As much as a full day’s flight from the UK and Europe, and even three or more hours by plane from Australia, New Zealand is both remote and isolated. But it has arguably some of the finest scenery in the world. 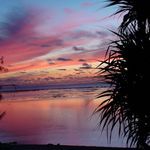 On many overseas trips, particularly those to exotic destinations, there is often the pressure to pack in as many sights and attractions from dawn to dusk, to make the best use of your precious holiday time. 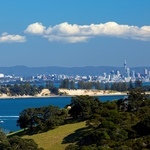 For many visitors to New Zealand, a few weeks is not enough to explore the diverse landscapes from the volcanic North Island with its Maori culture and cultural capital, to the rugged mountains and lush rainforest of the South Island. However, when you reach the deep south of the South Island, when you think it surely can’t get any better – it does. Carved by glaciers over hundreds of thousands of years, and further shaped by some of the highest rainfall in the world – around 6.5 metres or 252 inches a year – the scenery is raw and majestic. It is easy to feel dwarfed by Nature, and to stand awestruck in this natural wonderland, whether viewing a vista of lake, mountains and fjords, or getting close up – but not touching – the intricate luminous threads of glowworms, or an inquisitive native robin hopping in front of you on a forest path. My trip started in Queenstown, the international and domestic gateway for Te Anau and Milford Sound. After warming up by the cosy log fire in the library of the refined Hotel St Moritz, and soaking up the ‘alpine lodge’ vibe, I spent the late afternoon watching the play of light on the Remarkable mountain range and the movements of the heritage coal-powered steamship TSS Earnslaw as it glided across Lake Wakatipu like one of those miniature boats in a novelty pen. While Queenstown is the adventure capital of New Zealand, with its exciting jet-boat river jaunts and thrill-seekers’ bungy jumps, the pull to go further south and west is to experience the rugged grandeur of Fiordland. 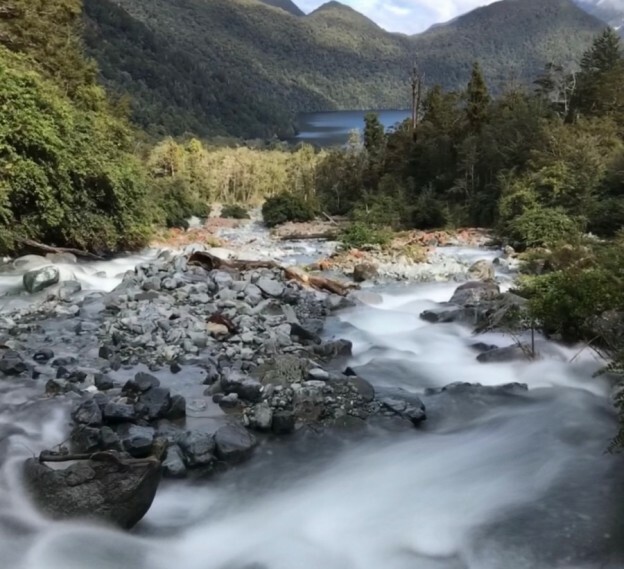 The super-scenic road from Te Anau to Milford Sound is 120km long and is probably best explored with someone else driving so you can appreciate the view and not worry about driving on the wrong side of the narrow road. Long day trips set off from Queenstown each morning, with departures from Te Anau combining sightseeing, photo stops and short walks with a fjord cruise. There is something very satisfying about sitting in a comfortable seat marvelling at the landscape as it unfolds. The Southern Discoveries coach I went with not only had the twin travel benefits of USB charging ports and wifi, but its glass-roof meant I felt more enveloped in the lush rainforest, and the witty driver Peter’s commentary gave me new knowledge and a few laughs. If there was one word universal among the passengers from around the world, it was ‘Wow’. 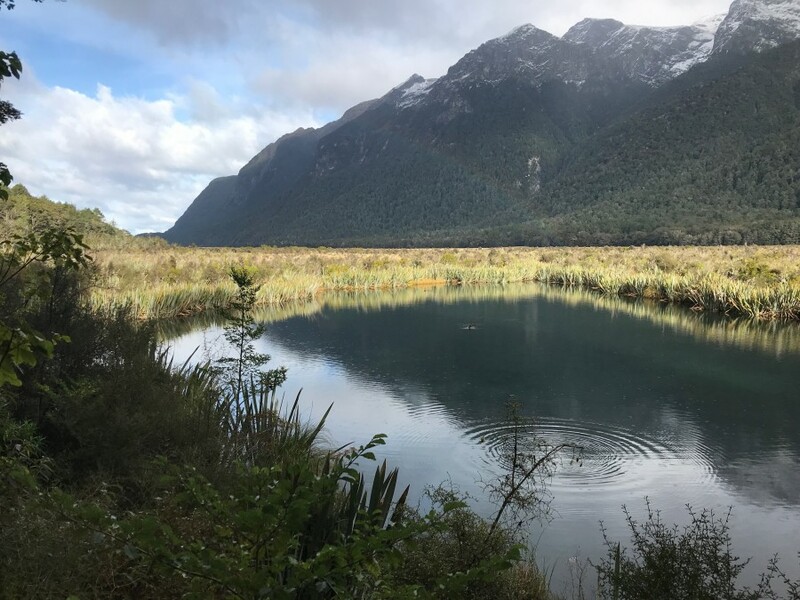 We stopped at mirror lakes, paused before entering the 1930s Depression-built Homer Tunnel to watch cheeky kea birds, and for a walk to The Chasm, as well as to drink water from a clear water stream and admire the freshly active waterfalls. “Yes, that was in ‘Lord of Rings’,” Peter says at several points in the journey. Boarding a waiting boat at Milford Sound’s port for a nature cruise, we tucked into a buffet lunch before heading out into the fjord, described by Rudyard Kipling as the ‘eighth wonder of the world’. The iconic Mitre Peak, the ‘money shot’ in many New Zealand postcards, appeared in the clearing mist, its hulking pyramid form reflected in the calm waters. The top summit of Mitre Peak is over 2,000 metres (6,834 feet) higher than the deepest point of the fjord. More memorable than that fact is the average number of rainfall days in a year – 200. However, rainfall creates rainforest and gives visitors the benefit of seeing hundreds of waterfalls tumbling down the sheer walls. Our vessel noses into the spray of one cascade from Fairy Falls, having given warning – and offered free rain jackets – to those bravely standing on the bow. Inside, there is freeflow tea and coffee to warm up – Southern Discoveries are one of the region’s oldest tour companies, with half a century’s experience, and they certainly know the restorative value of a hot drink. At the open wheelhouse, the skipper tells me about the previous day’s wildlife sightings, which included a pod of dolphins riding on the boat’s bow-waves. We turn at the heads, beyond us the Tasman Sea heaves with deep swells, and make our way back into the sheltered sound, stopping to spot some fur seals sunning themselves of rocks. Once hunted close to extinction, these protected species are now growing in number. A pair of Fiordland crested penguins are sighted on the inky surface, and when I scan the horizon, I see a group of fins heading towards our boat. “Bottlenose dolphins,” confirms the skipper, cutting off the engine so we can admire the graceful swift approach of these creatures, which can be 3 metres (9 feet) long, and weigh two or three times heavier than the average human. The waters of the sound are protected as a marine reserve, and part of a larger World Heritage area, There are more unique features found here. The heavy rainfall – ‘200 days on average a year’, the informative guide reminds us – combined with the natural tannins off the rainforest vegetation which stains the water the colour of a strong cup of tea, means the top layer of the fjord is fresh rather than salty sea water. Around 6-10 metres (18-31 feet) of dark freshwater blocks the light meaning that deep-sea life can live in relatively shallow waters, including many varieties of black coral trees. We stop at the Stirling Falls, the most magnificent in the fjord, and the teenager from Australia next to me on the observation deck tells me ‘that was in Lord of the Rings’. After the Underwater Observatory, we finish with the other permanent waterfall, Bowen Falls, breathing in the negative ions and fresh air. It has been one of those 200 days a year, but no one is complaining, though perhaps those taking the budget trip with a car hire company might feel shortchanged having covered only half the distance of the more reputable operators. 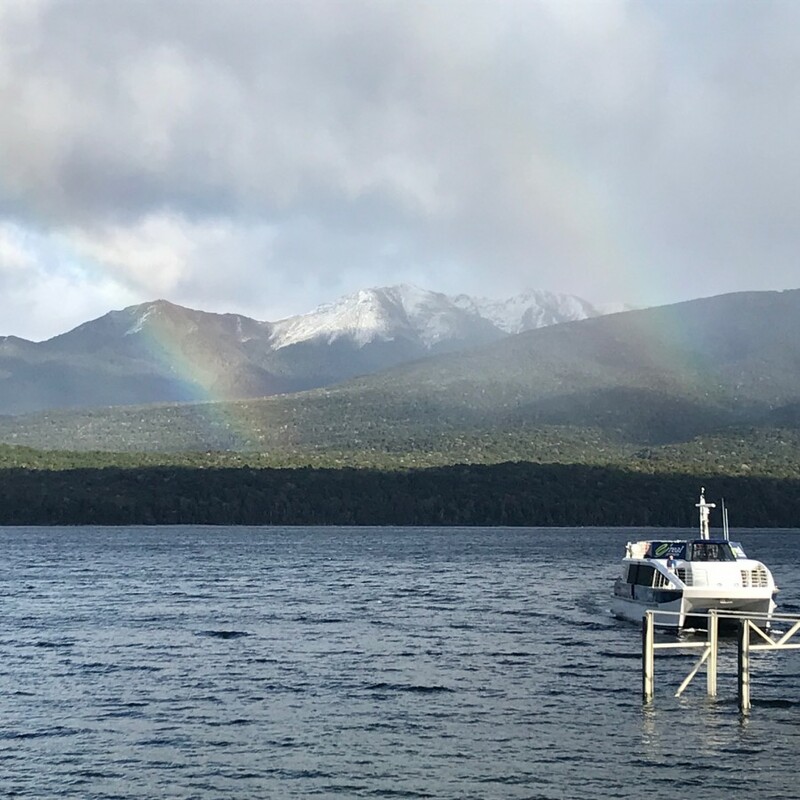 That night, I sink into a deep sleep in Te Anau’s Distinction hotel, waking the next day to a fresh sprinkling of snow on the distant Fiordland ranges, a late autumn chill in the crisp air, the sun illuminating the panorama from my first-floor balcony. Formerly the government’s tourist hotel, and the staging post for visitors from around the world about to hike the famous Milford Track, the strategically-located Distinction Te Anau is a mix of old-school institution and cosmopolitan melting pot, with attentive staff from as far away as India and the Philippines. Overlooking the lake, with over a hundred rooms and villas, there is a clinic offering deep tissue massage for hikers and even an on-site wedding chapel. And if the restaurant or bar doesn’t offer what you want, there’s always the Habit Food caravan a few minute’s walk away which serves the best bao in the world, including local venison. In a region packed with superlatives, the Milford Track is regarded as ‘the finest walk in the world’. While I’d like to hike the premier trail, it takes four days, and both independent and guided spots are booked up months in advance, particularly during the busy season, which runs from October to April. Instead, I opt for a guided day trip with Real Journeys, a long-established tour operator offering a variety of experiences throughout the region. 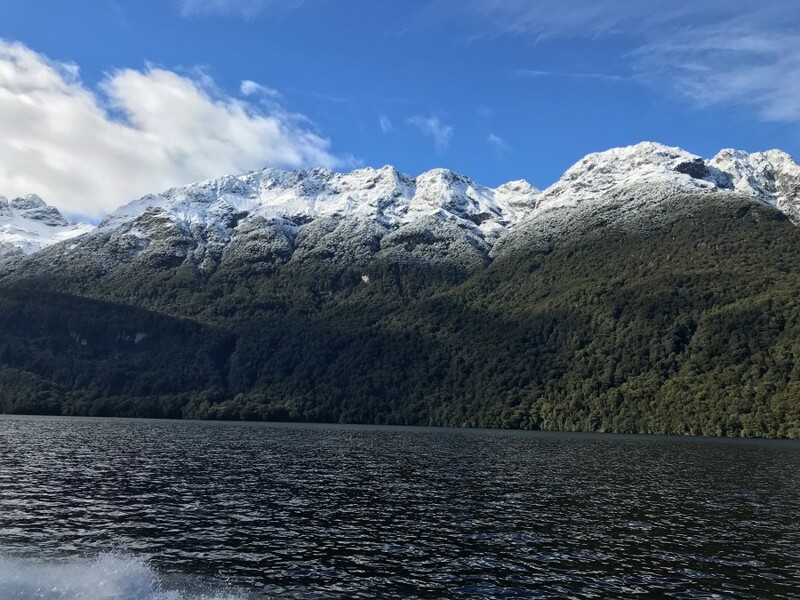 After a short bus trip and then longer launch voyage across Lake Te Anau, we disembark, stepping foot on the start point for the Milford Track. After disinfecting our shoes to prevent the spread of aquatic weeds to the pristine waterways, we set off on our hike, venturing on a side trail beside a stream, our guide telling us things that even I as a New Zealander didn’t know about the area’s formation, its unique eco-system held together by moss, and the threats of introduced pests to flightless birds. After a drink stop, where I gulp handfuls of fresh cold water from the stream, we venture into a weird darker, dimmer landscape of thick, dense rainforest, spreading ferns and hidden fungi, with mosses and lichens draped over old trees. Underfoot, between the roots of beech trees, it is springy, adding to the surreal feeling in this world of fifty shades of green. I think our guide Trudy might have said that ‘this was in Lord of the Rings’, but I was in another world. 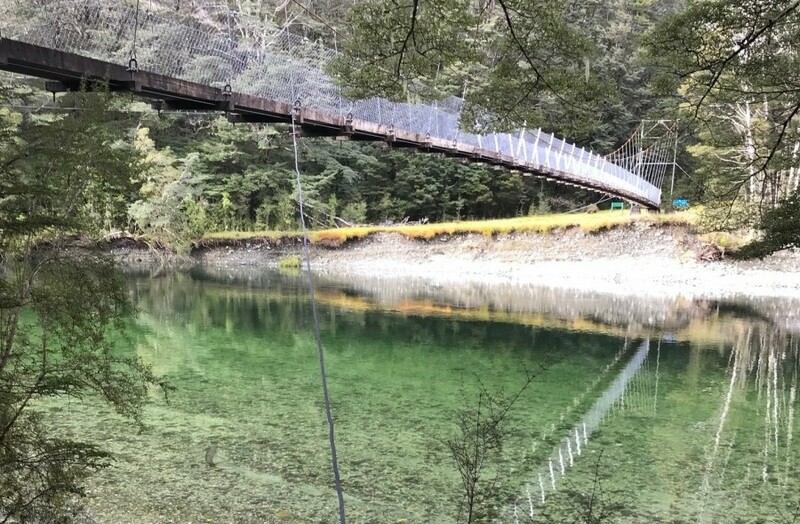 After lunch at historic Glade House, the overnight stop for guided hikers, we continued further along the main route, crossing the Clinton River bridge, looking for fish in the crystal clear waters below the swing bridge. After all the interpretation, the stories, the identification of plants, and imagining glaciers shaping the valley, we are given staggered starts from a wetland back to the bridge, and I revel in the freedom to walk along the track, the sounds of birdsong heard above my soft footfalls. 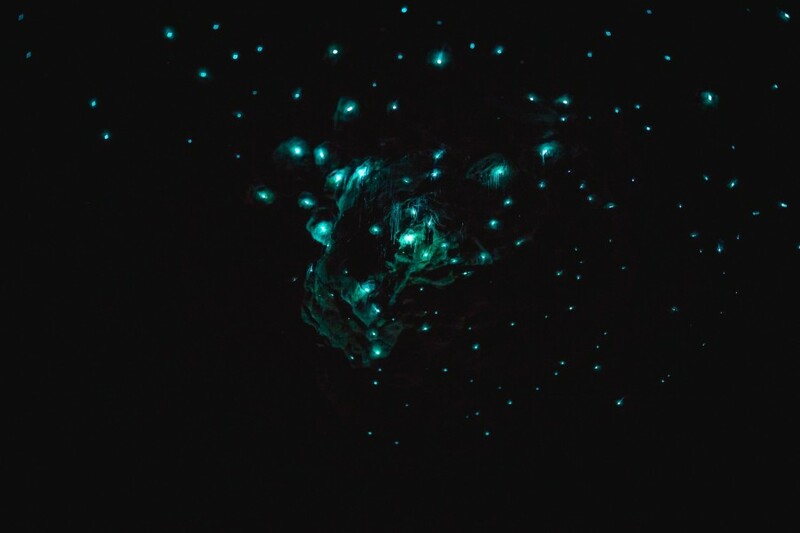 That evening, during the Te Anau Glowworm Cave trip, I emerge from the underground world of rushing water and water-sculptured caverns lined with shimmering glowworms, to a clear night sky dotted with thousands of stars, the Milky Way seemingly within reach. There are many flights from the UK and Europe to New Zealand, though the long journey may involve layovers, stop-overs or changing planes to get to Auckland, Christchurch or Queenstown. Award-winning Air New Zealand, as well as China Southern, Singapore Airlines and Emirates, fly to Christchurch, with Jetstar and award-winning Air New Zealand flying to all major cities around from £600. Air New Zealand, Virgin Australia, Qantas, and Jetstar fly to Queenstown.